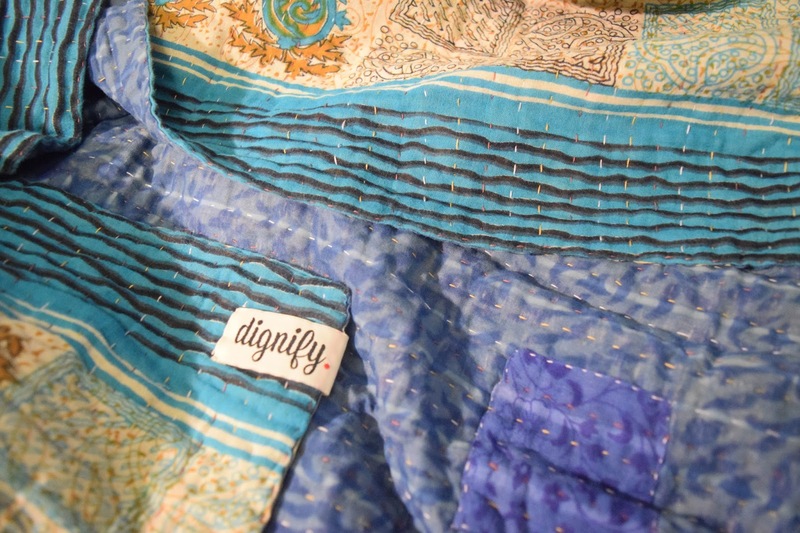 As a wedding present, Nic’s cousin Rachel bought us a gift certificate for a kantha throw from Dignify. It took us a long time to decide on which beautiful blanket we wanted, but we finally ordered one. Our cousin Rachel got us a gift certificate which covered the price of a throw and shipping. I kept on looking up different designs (they’re all so special!) and we finally settled on the beautiful blue one. I would definitely suggest checking out their site for lots of great gift ideas, like the one I screenshotted below. 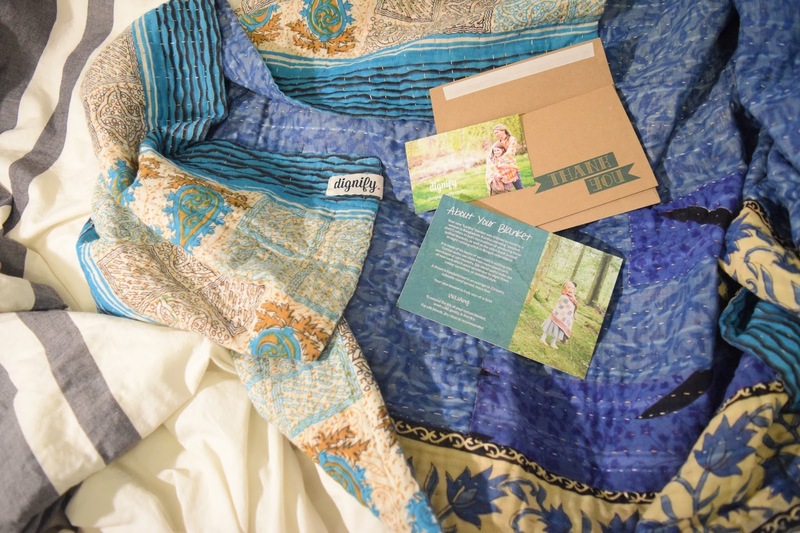 Their Whiteout Ethical Gift Box includes a white kantha throw, a coffee mug, and ethically roasted fair trade coffee. They’re also selling adorable stockings for Christmas, as well as jewellery, and table runners.